San Diego Spirits Festival and San Diego Cocktail Week highlight the cocktail and culinary community and the talented bartenders and chefs who are shaking up San Diego’s vibrant scene. Its all about Cocktails, Culinary and Culture set on San Diego Bay! San Diego Spirits Festival is all about Lifestyle, make San Diego your Lifestyle Destination and Join for Year 5! SHAKE it UP at the end of summer in San Diego, August 24-25, with a fresh and booming cocktail and culinary scene at the San Diego Spirits Festival! The preeminent West Coast COCKTAIL CULINARY and CULTURAL event where the world of CRAFT spirits, high profile liquors and fine cuisine unite overlooking a sun-drenched San Diego Bay and make a huge splash! 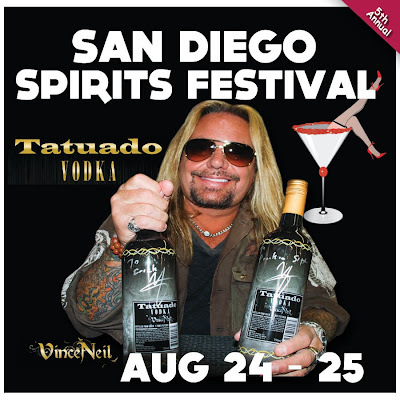 You know it's bound to be a party when MÖTLEY CRÜE front man VINCE NEIL showcases his Tatuado Vodka at the San Diego Spirits Festival with a spectacular launch. This one of a kind weekend, held at the spacious Port Pavilion, brings together hundreds of distinct liquors and gourmet morsels in a festive and fun loving environment. Sample any of the spirits you come across, whetting your whistle with tasty tequilas, raucous rums, magnetic moonshines, vivacious vodkas, genteel gins, wild whiskeys, marvelous mezcals, and more. Need to fill up a bit? Delicious cuisine is on hand for your culinary needs as well. During the day, witness cocktail battles, pitting expert bartenders against one another, along with chef/bartender battles, burlesque shows, samba dancers and even a craft beer section. 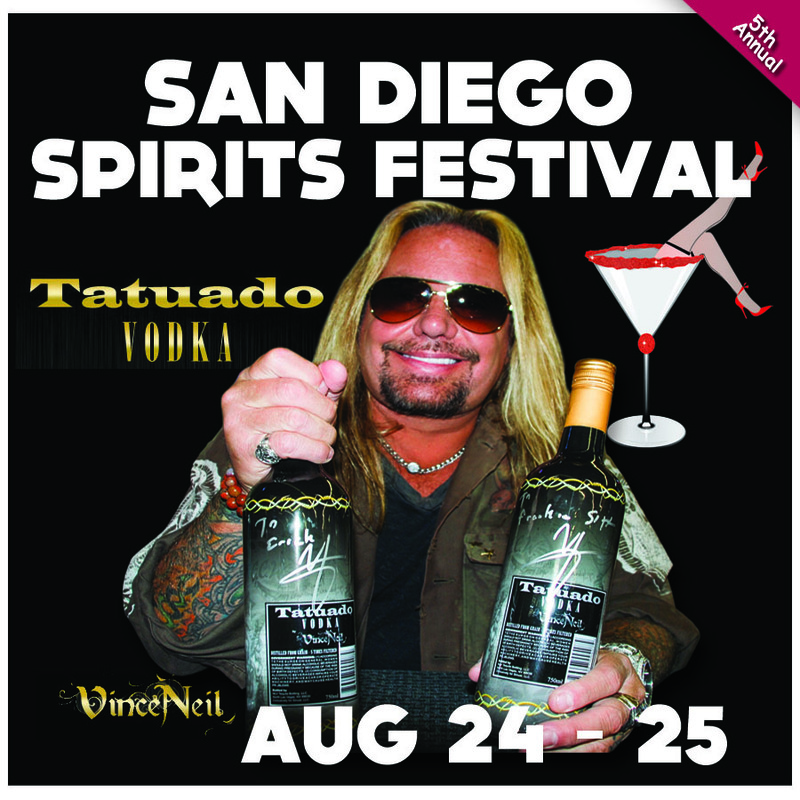 For information or to get your all Inclusive tickets with UNLIMITED TASTINGS visit San Diego Spirits Festival.